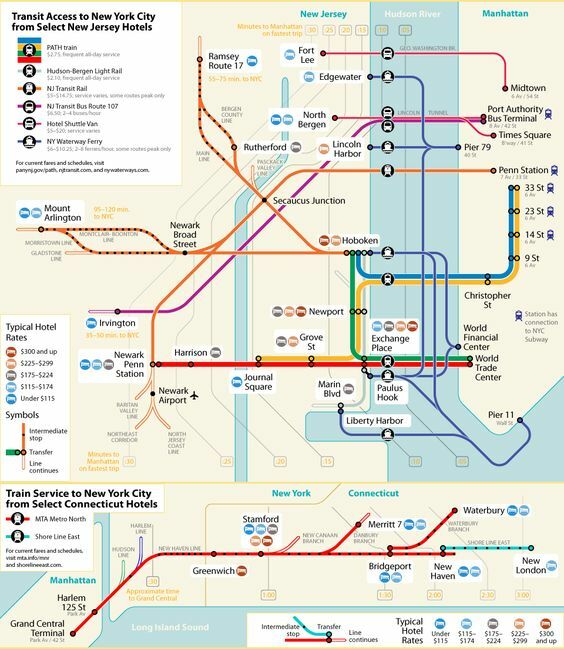 Post your questions about NYC Public transportation here! links to a variety of local maps, regional rail and subway & bus maps plus links to apps for your phone. Re: Questions about NYC Public transpotation ? I got a question from ConSwag on Twitter. S/he is staying in Jersey at Tonnele Ave, North Bergen, NJ. I'm staying close to Union City/ Weehacken NJ. just off of 30th st/s. marginal way & Bergenline ave. I know there's private bus line that runs from that intersection threw the Lincoln tunnel to Port Authority. it cost $3. Does anyone know where that private bus starts the run? the reason i'm asking is to see where ConSwag can catch public transportation into the city. I Know ConSwag can uber to the intersection of Bergenline & 30th but am wondering if there's an easier way. Re: Post your questions about NYC Public transpotation ? Hmm do you know where they are exactly? Also depends on how much they want to spend. They are in a bit of a tough spot. One (but also expensive) is to get on the Tonnelle Ave Light rail to the Port Imperial stop (4 minutes) and then hop onto the Port Imperial Waterway to 39th Street, which would let off right behind the convention center. Just a PSA for anyone traveling from NJ and using the Path. There will not be service between Hoboken and 33rd that weekend. You can got from Hoboken to Newport then 33rd St or go from Hoboken to WTC. I'm all grown up... No longer John_Yon's padawan. I'm perplexed at why its so difficult to get from the Medowlands View hotel to Javitz. Isn't it only 3miles away, right across the Lincoln Tunnel? It's sounding like my best bet is to Uber. I'd love to find two or three other people to share this cost. I'd most likely be leaving the hotel early every day to get to Javitz. The issue is the amount of traffic you will sit in to enter the Lincoln Tunnel as well as the $12.50 toll to use the tunnel. Both of these factors will drive up your taxi or uber costs. That being said, these may be your only options. That being said, as mllNY mentioned above, it looks like North Bergen Park and Ride is right behind your hotel, although i would recommend 320. Below is the bus schedule that will drop you off at Port Authority, which is about a 10 minute walk from the Javitz. Looks like the bus option will run me $3.25, one-way, with a short(?) walk to Javitz. With the early bus arriving in NYC at 5:45ish, that doesn't sound too bad... And it looks like the last bus back to NJ is pretty late- Which gives me time to hang out in NYC for a while, each day. Since I'm going to have my son with me, all the costs will be x2... The bus is definitely looking like the way-to-go. I'm heading straight to Javitz from JFK Airport on Thursday morning... What do you guys recommend as the quickest/most economical way from the airport to Javitz (priority going to most economical)? I've seen this bus frequent Penn Station and Port Authority. Seems reasonably priced and a lot easier than taking the AirTrain to Long Island Railroad to Penn Station and walk, although I have no experience with it. Perhaps someone else can offer an easier alternative. Thanks again! You're a life-saver! Half the price for about 20 more minutes of travel time. If North Bergen Park and Ride is right behind my hotel, like You are not allowed to view links. Register or Login says, I think the bus will be the best, inexpensive option. I already transferred the money to my NYCC savings account- So hopefully no surprises!